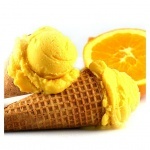 This tangy Orange Pineapple Ice Cream is the perfect dessert for hot summer days! What’s great about this coconut milk based recipe is that it is completely vegan-friendly. Without the presence of eggs, you can taste the mixture before you freeze it and adjust to your personal preferences. Are you like me and prefer just a hint of citrus flavor? Start with just 1/4 can of concentrate. The recipe calls for half of a can, but this recipe is really very flexible. Keep in mind, the color will be more pale if you use less concentrate. This is one of those recipes that you can use as a guideline and make it your own. I first puree the orange juice concentrate, coconut milk, vanilla and sugar in a blender until the sugar dissolves and the mixture is very smooth. This is the point where you want to taste it. I pour the mixture into the bowl of an electric ice cream maker that has been frozen overnight. This is a really important step. I allow the ice cream to process to a soft-serve consistency and then add the pineapple and oranges that I cut into pieces. Adding them any earlier just breaks them up and we are looking for nice little chunks of fruit as we bite into our ice cream. 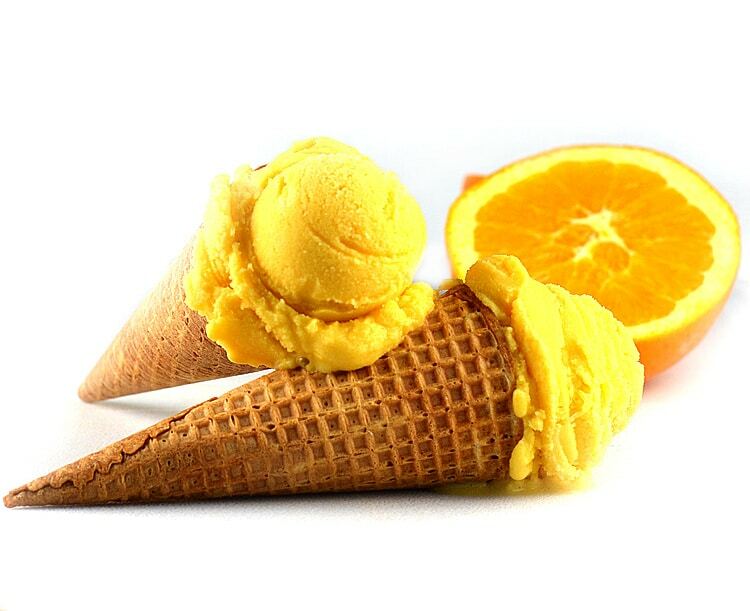 Serve in your favorite cone or enjoy as soft-serve. It is the perfect refreshing dessert for summertime. In a blender, puree the orange juice concentrate, vanilla, sugar and coconut milk until very smooth. At this point, taste the mixture and adjust sugar/orange juice concentrate to your personal preference. If adding more, puree once more to be sure it's completely smooth. Pour into the bowl of an ice cream machine that has been in the freezer overnight. Process according to manufacturer's instructions, or until soft-serve consistency has been reached. At this point, add in the pineapple and orange pieces. Fold to combine. Spoon this mixture into a loaf pan and freeze until it firms up. I leave mine for several hours before scooping. Of course, you can always enjoy it as soft-serve as well. Wow! This has summer refreher written allllll over it! I love ice cream and this one has my name written on it. Thank you for this recipe – it reminds me of the Orange soda and vanilla ice cream float I loved as a child, with no dairy! Excited to add this one to my summer evening cool down. Can you use something other than coconut? I have a food allergy, but I love everything else about this recipe!